The Bearcats and Huskies kick off their Big East seasons with a match up at 7 in 5/3 Arena. The Huskies beat the Bearcats last year 81-72. The Bearcats played tough last year, but couldn't quite get over the hump thanks to AJ Price. No more Thabeet, Adrien, or Price, but the Huskies still trot out Kemba Walker, Stanley Robinson and co. The Huskies are the best team the Bearcats have lined up against this year, and this should be an interesting test to see where UC stands. We also get to see where UC stands in February, because the Cats and Huskies square off twice this season. Let's hit the numbers and prediction after the jump, shall we? Looking at the numbers, one can tell this is going to be a physical game. The Huskies interior players are going to make the Bearcats work. We've seen a couple huge rebounding games against the Cats by Jason Love and Elijah Millsap of UAB. Yancy Gates and Steve Toyloy need to stay out of foul trouble and bring the noise. The Huskies give up quite a few 3s, and this Bearcat team loves to shoot them, so that could be a factor. 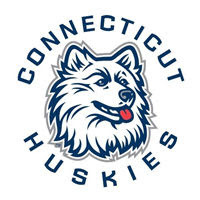 This one should be a close game, because although UConn is ranked 10, they haven't been lighting the world on fire. My predictions: I think Lance Stephenson steps up his game against the top flight competition and puts up 15-7-4. I think Gates has a similar game to last years 12-9, and I think Deonta Vaughn puts in 12. The wild card players for UC are Dion Dixon and Rashad Bishop. I think if they can make some shots, the Cats are going to win. UC is favored in this game by 1.5 and KenPom has them winning by 1 in a toss up. I think that the Bearcats win this toss up 73-70.